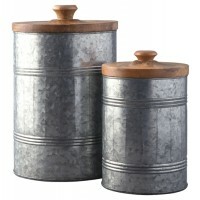 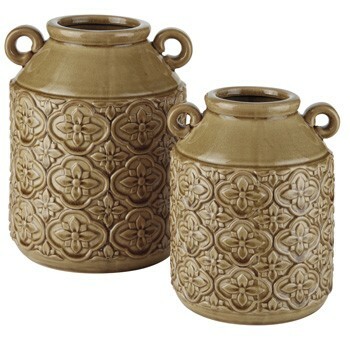 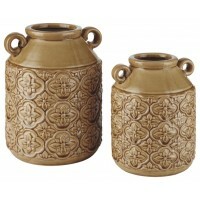 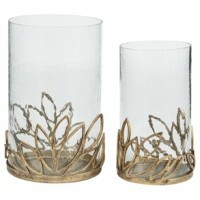 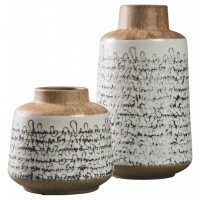 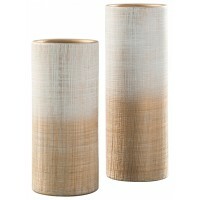 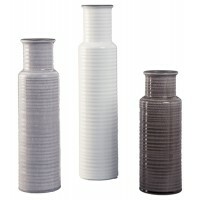 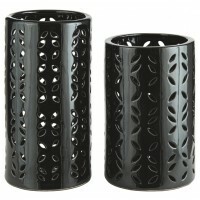 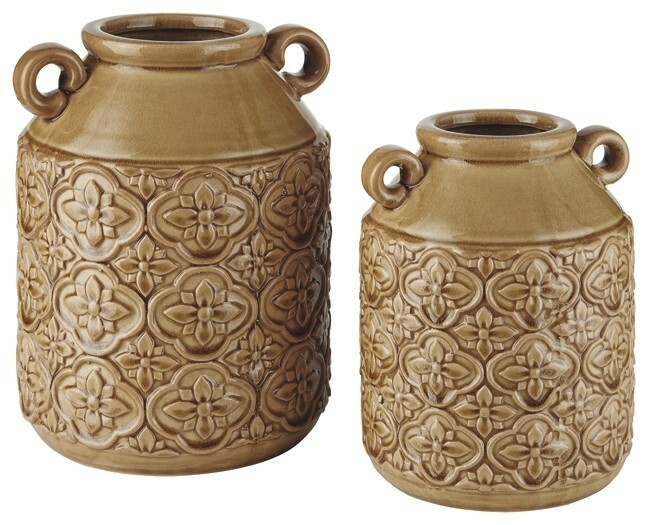 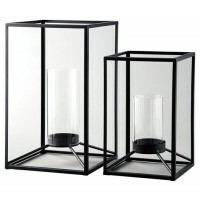 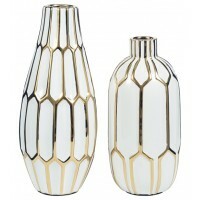 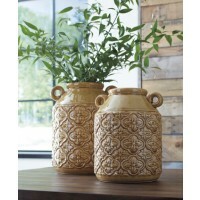 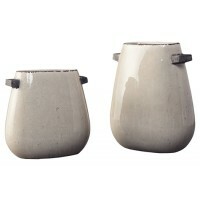 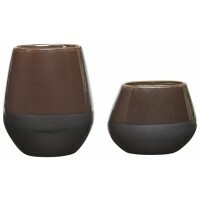 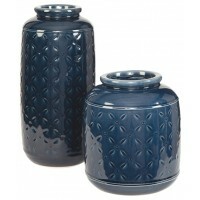 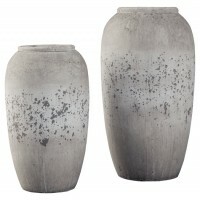 Add a fun element of design to your traditional or farmhouse home with this 2-piece vase set. 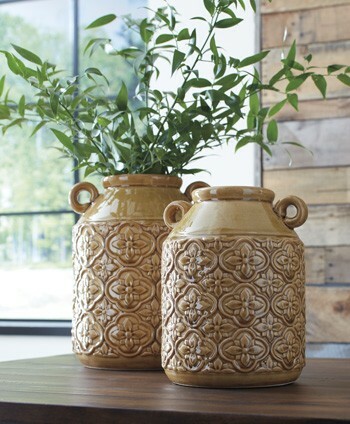 Golden ochre hue boasts a beautiful glaze over ceramic. 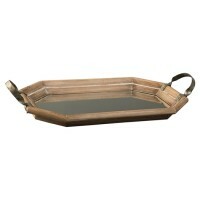 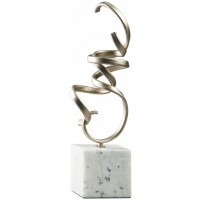 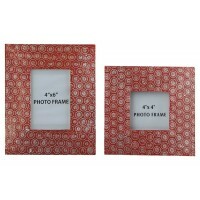 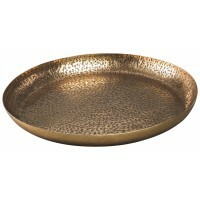 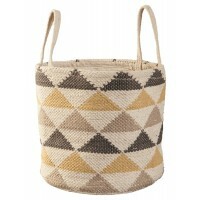 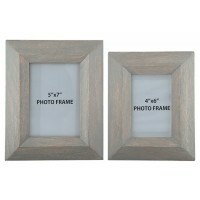 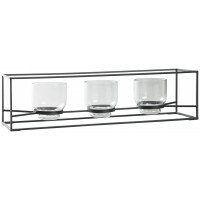 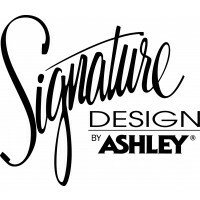 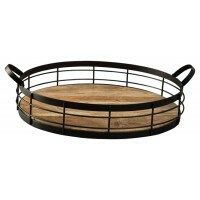 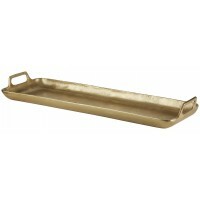 Place this style indoor or outdoor for a lasting look.